Posted on January 30, 2006. Earn Free Night Awards faster. 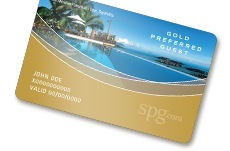 Increase your rewards to 3 Starpoints for every eligible U.S. dollar spent — a 50% bonus over Preferred Guests. Enhanced Rooms. Rather than redeeming Starpoints for a better room, you’re entitled to an automatic room upgrade at check-in when one is available. An enhanced room includes rooms on higher floors, corner rooms, newly renovated rooms, or rooms with preferred views. 4 p.m. late checkout, when available. Gold Preferred Guest® special customer service telephone. Check-cashing privileges up to $300.